The 33-year-old Frenchwoman was a surprise winner of the grass court major in 2013 before retiring from the sport that August. But, in an Instagram video posted on Tuesday night, Bartoli announced that she had decided to return to the game. "I am delighted to announce my comeback on the professional circuit of the WTA next year," said Bartoli. "I am so looking forward to seeing you again during my matches and sharing some amazing emotions with you. "It's going to be a huge challenge, I still have a lot of practice ahead of me. "I'm really looking forward to being on the court again, especially in Paris at Roland Garros in my home country, but also for the Fed Cup and Wimbledon." Bartoli says she is planning to begin her comeback at the Miami Open in March. A winner of eight WTA titles in her career, Bartoli reached a career high of No 7 in the world in both 2012 and 2013. She was beaten by Venus Williams in the 2007 Wimbledon final but won the tournament without dropping a set six years later, defeating Sabine Lisicki in the final. She is the last French player to have won a Grand Slam title, and has worked as a pundit since her retirement. 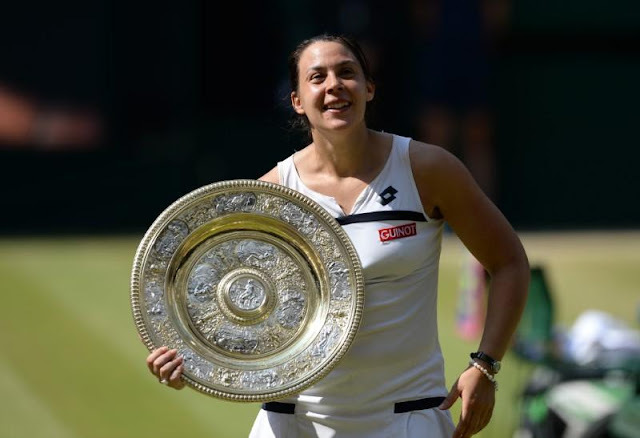 In 2016, Bartoli suffered from a mystery virus that saw her lose 20kg of weight and forced her to pull out of a pre-Wimbledon exhibition event, but she announced a month later that she was "on the road to recovery".